The 21st century belongs to technology and with new and better gadgets churning into the market every second, the gadget freaks couldn’t ask for anything more. However it has turned quite hard for the customers who are looking to buy these gadgets who are often in dilemma on which one to go for. Visiting the shop and enquiring is of no help either; as the professionally trained salesmen will try to sell the old pieces making up some cool offers and hide its various drawbacks. In this context the following article can help you in buying the best desktop computer according to your needs. 1. Processors: The most important thing to check out while going for desktop shopping is to get the best processor. The best bet is to get the latest processor as it won’t turn obsolete in a couple of years. If you are going for Intel, then it will be better to go for at least a Core i3 processor. Or even better you can get the Core i5 or Core i7 processors. If you want an AMD OS, then at least get the AMD Phenom processors preferably Phenom II X4 or more. 2. Intel processors or AMD processors: As a general rule, AMD is cheap and sometimes overheats. However it is cheap and performs better than Intel processors in the same price range. Hence if you are going for cheap processors, then AMD will be the better option. 3. RAM and Processor Frequency: The internal memory or RAM of a computer is very much necessary and the general formula is the more the better. However you can add more RAM to your desktop later on as there are slots available for the same. Aim for at least 4GB DDR RAM. The clock speed or GHz is also one of the major components while selecting a desktop. Unlike RAM it cannot be increased at a later time and hence chose the desktop with higher processor frequency. It must be in the range of 3GHz. 4. Type of use: Decide for what purpose you need the PC for. If it is for some basic applications then you can get a simple core i3 PC with a decent TFT monitor and hard drive memory, 320 GB say. If you need the computer for entertainment purpose and like to watch movies with extreme clarity, then it will be better to go for a Core i3/i5 processor with dedicated graphics card (128 MB graphics card will be good enough for movie viewing) and a large 23″ HD TFT monitor. Also make sure that you’ve got good hard drive memory, 500GB+. 5. Gaming PCs: Gaming can be quite interesting in a PC; however you will need good specifications in your PC for the best gaming experience. You will need a good TFT monitor, dedicated graphics card- the inbuilt graphics cards are not up to the mark for gaming purposes and hence it will be better if you install one manually. You must try to add at least an Nvidia GTX 550 Ti or AMD Radeon HD 6770 graphics card. 6. Operating system: Although you can change the operating system later on however it is best if you chose the best one while you buy the computer as the OS cost is included in the computers and hence you don’t have to pay extra for it. The latest Windows OS is the Windows 7 which is quite fast and has good performance. The Windows 8 is also up for launch but there is no such news on it till now and will take a while to be launched in the market. Also you can find Mac OS and Linux installed with other OS. 8. Optical drive: Make sure that the Optical drive can read and write CDs and DVDs. Also check if it supports multi layer DVDs. 9. Monitor: Monitors are the main output devices of a computer. Hence make sure you get a good one. 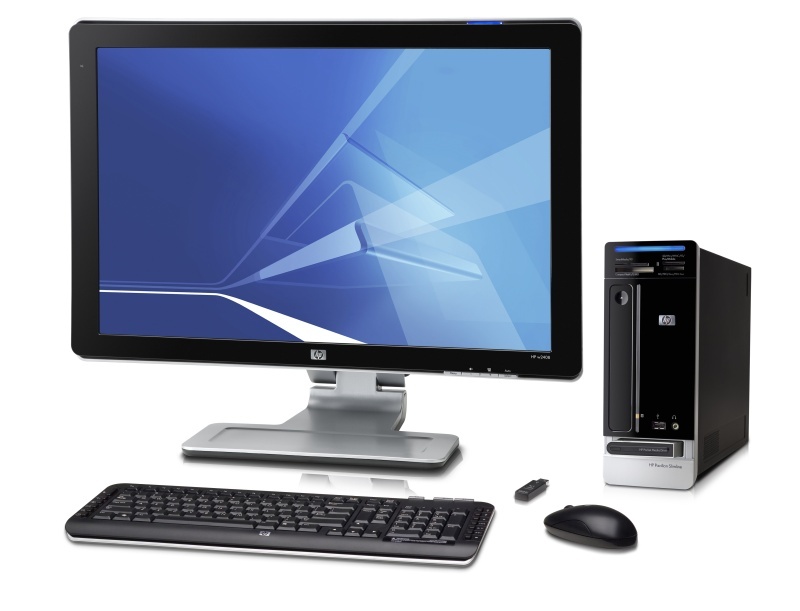 TFT computer monitors are the ones widely used now and are available in HD with display resolutions in the range of 1920 x 1080 Pixels. 10. Warranty: Electronic equipments are bound to malfunction in the due course of time and hence it will be better if you have a good warranty cover for your desktops. Also it is always a good idea to go for extended warranty covers so that you won’t have any problem when there is some major mishap in your desktop. Author Byline: Divya Rawat is a Content Writer in a reputed SEO Company. Although an SEO expert, she has immense knowledge on technology and loves to write gadget and technology related articles.